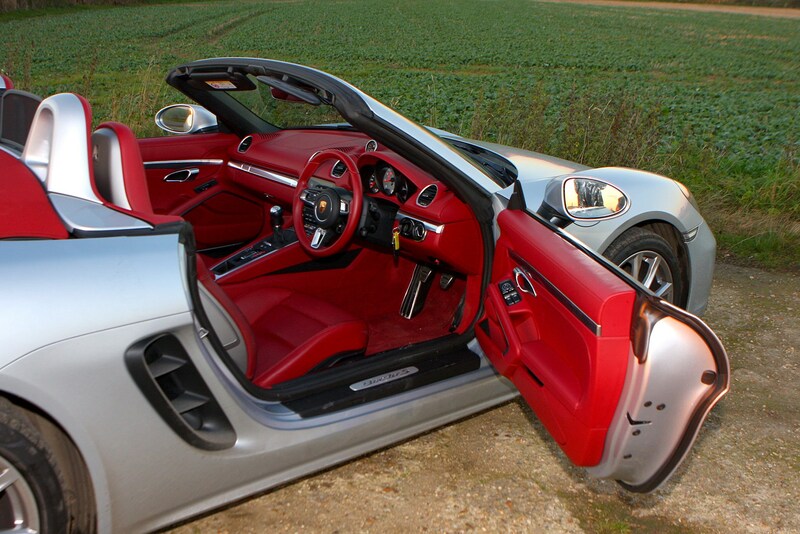 Insurance group: 46 - 49 How much is it to insure? 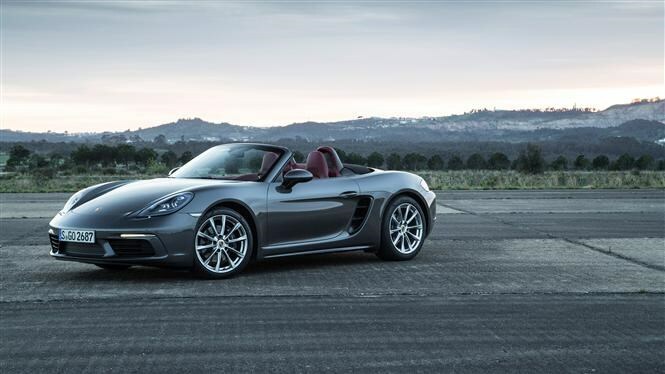 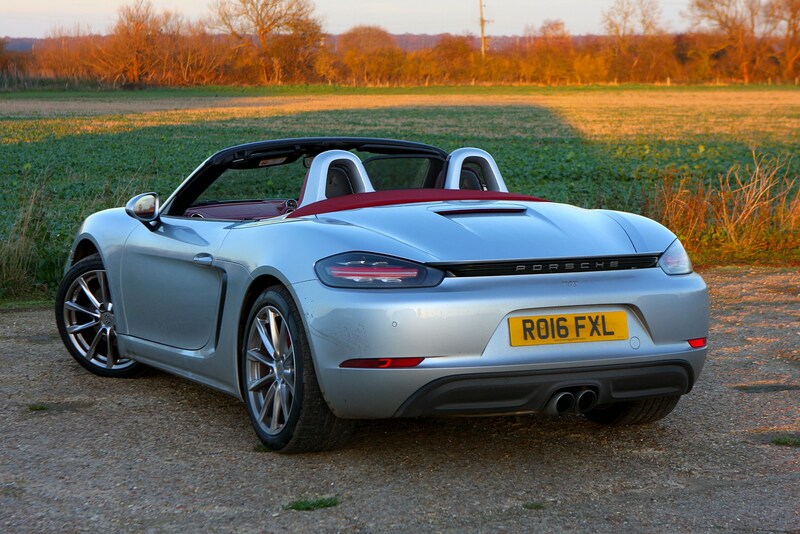 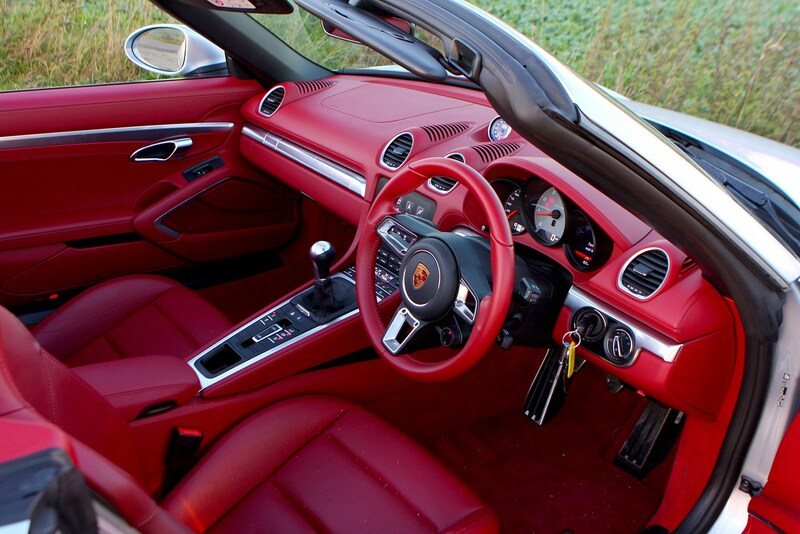 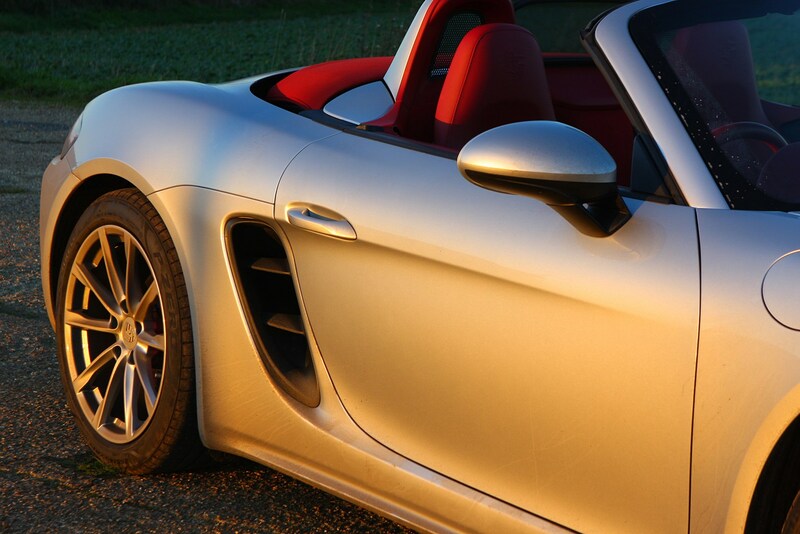 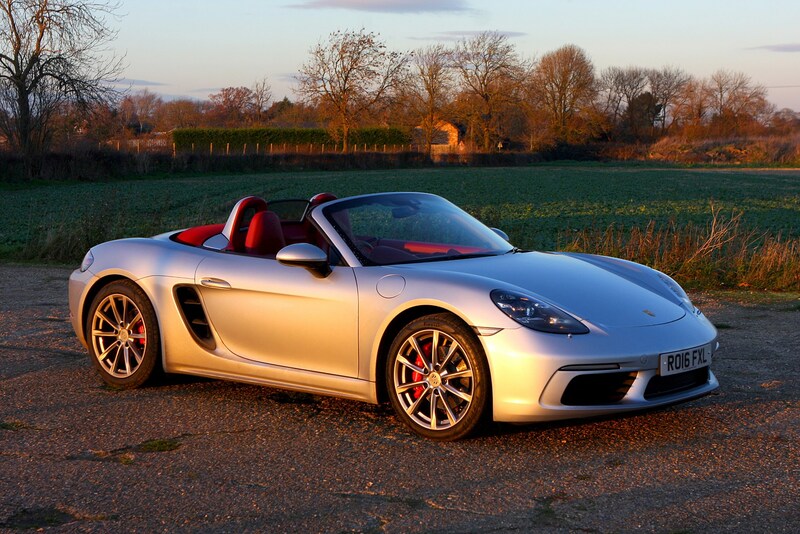 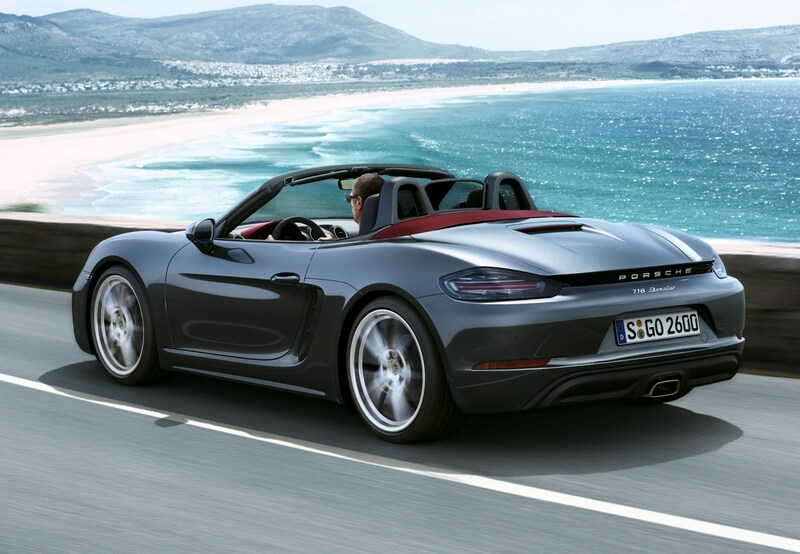 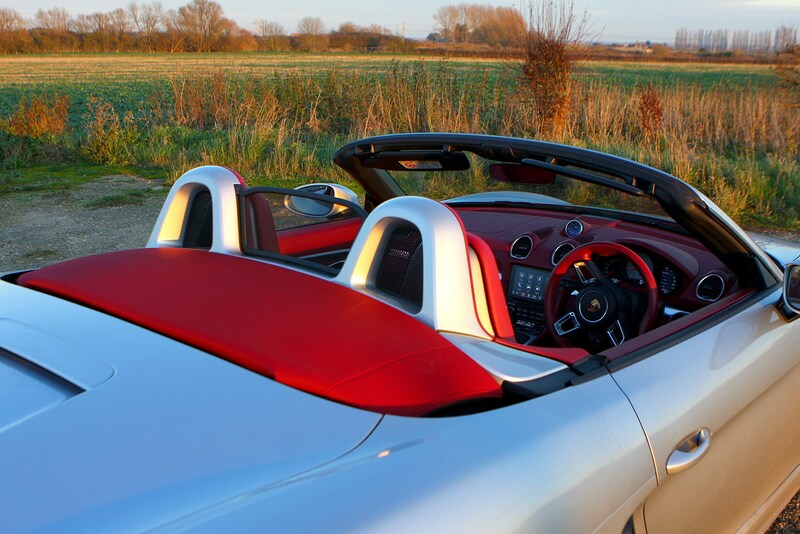 The Porsche 718 Boxster (yes, it used to just be the Boxster), is the German company’s mid-engined two-seat roadster that’s all about driving thrills. 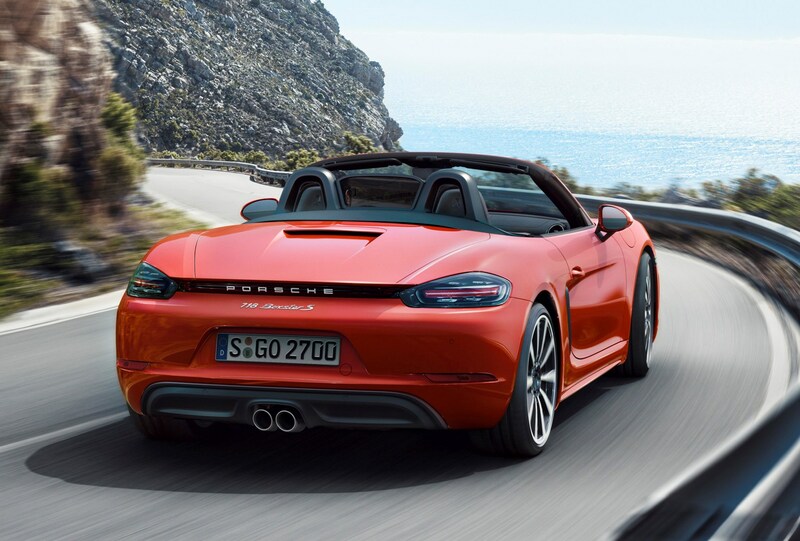 Rivals include the Audi TT Roadster, Mercedes-Benz SLC and entry-level versions of the Jaguar F-Type. 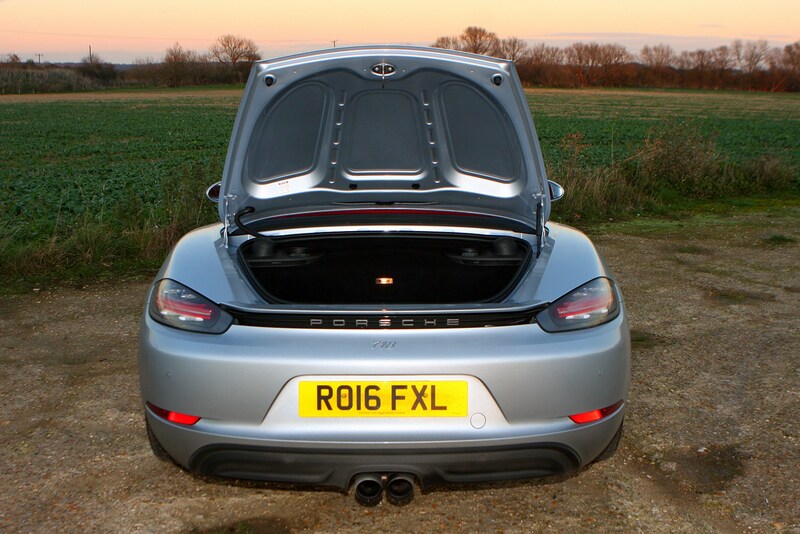 To look at, you’d be forgiven for thinking it’s a mild refresh of the previous model, but in fact the only parts it shares with the car that went before it are the luggage compartment lids, windscreen and the fabric roof. 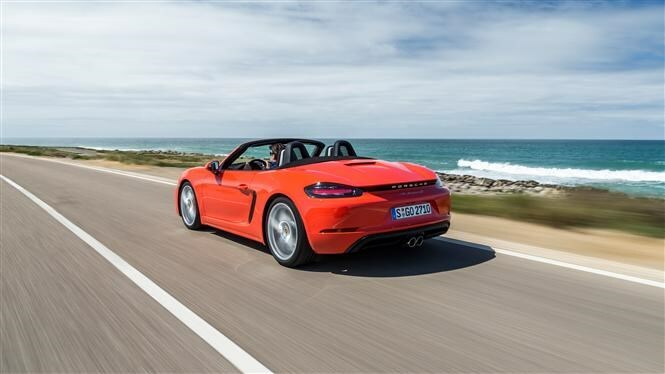 There are chassis changes, new body panels and an updated interior with a much-improved touchscreen infotainment system, but the big news relates to the engines. 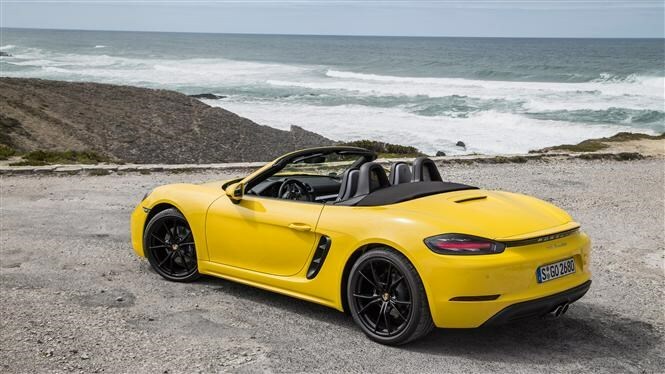 Gone are the old 2.7 Boxster and 3.4-litre Boxster S flat-six-cylinder motors, replaced by a pair of flat-four turbos mounted behind the driver. 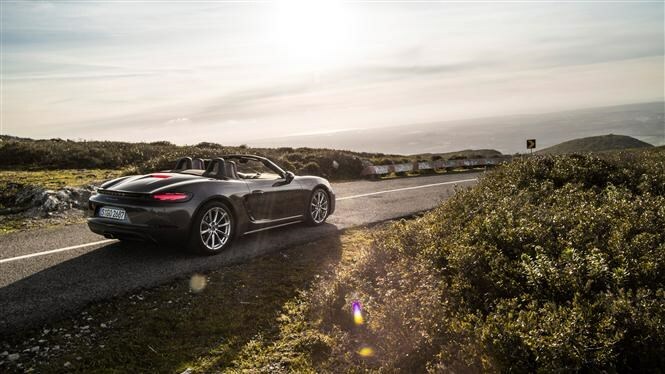 The Boxster has never had anything but six-cylinder power since its introduction 20 years ago, so Porsche is dusting off its historically important 718 naming to legitimise the new engines. 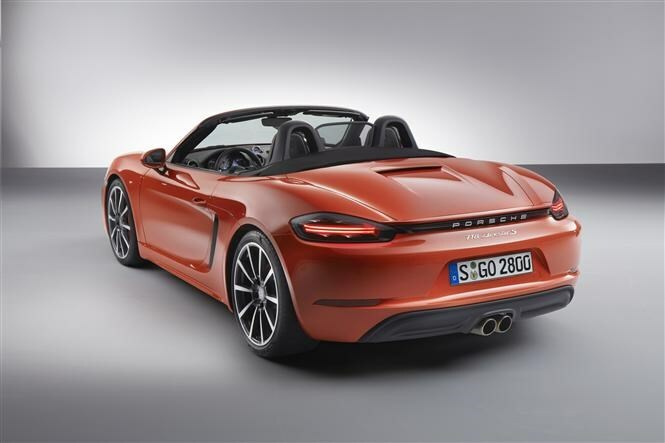 It references a four-cylinder roadster that raced with success in the 1950s and ’60s. 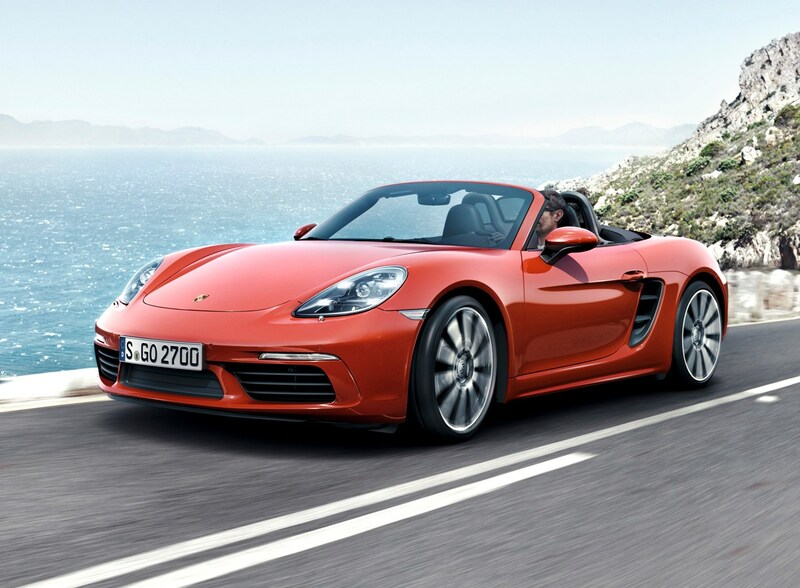 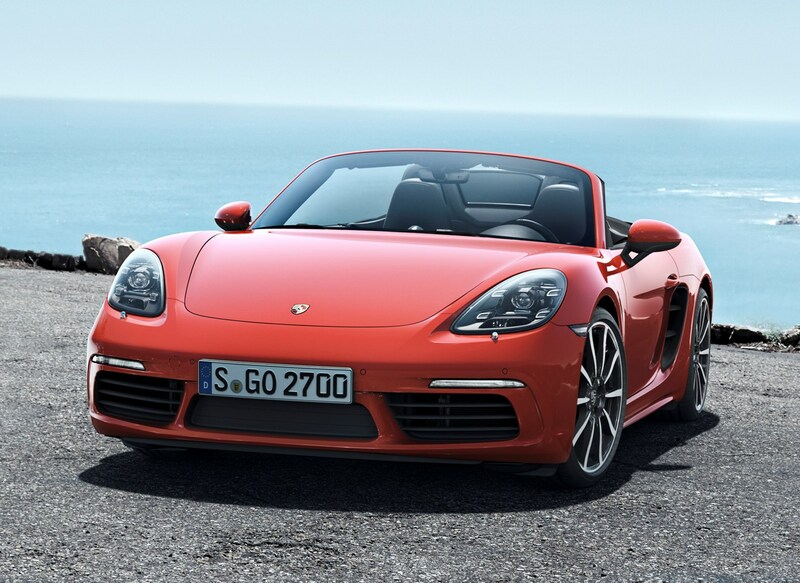 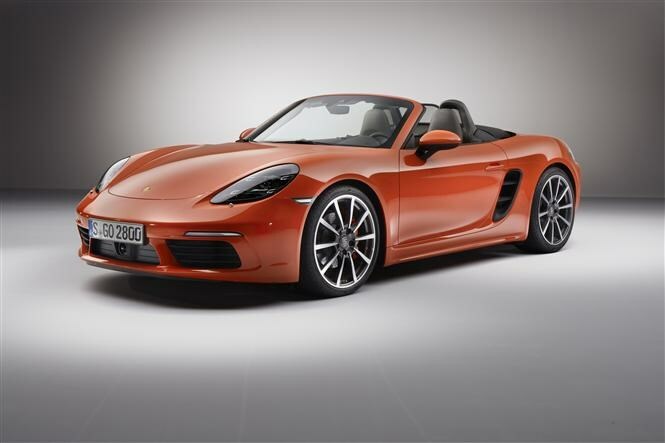 The entry-level 718 Boxster uses a 2.0-litre flat-four with 300hp, while the 718 Boxster S steps up to a 2.5-litre version rated at 350hp. 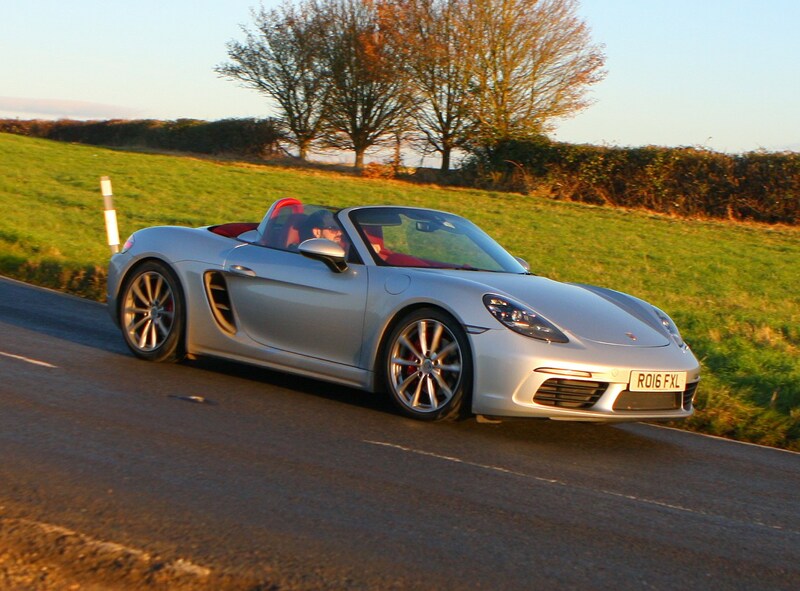 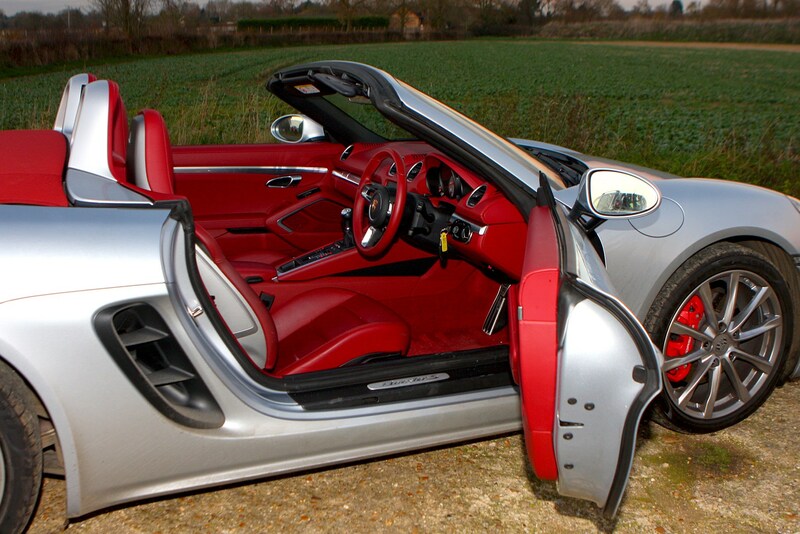 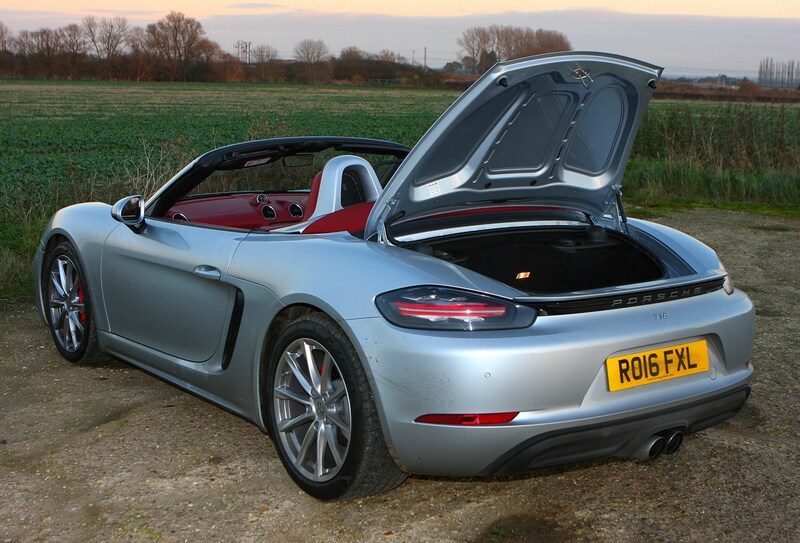 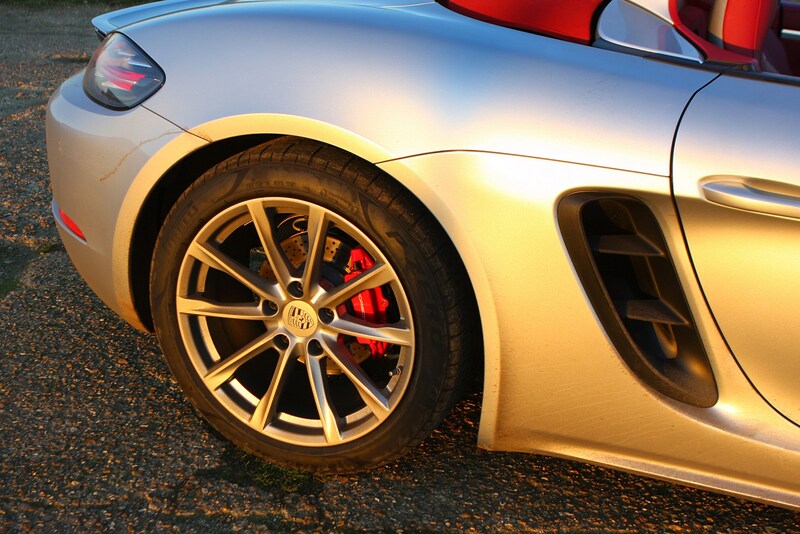 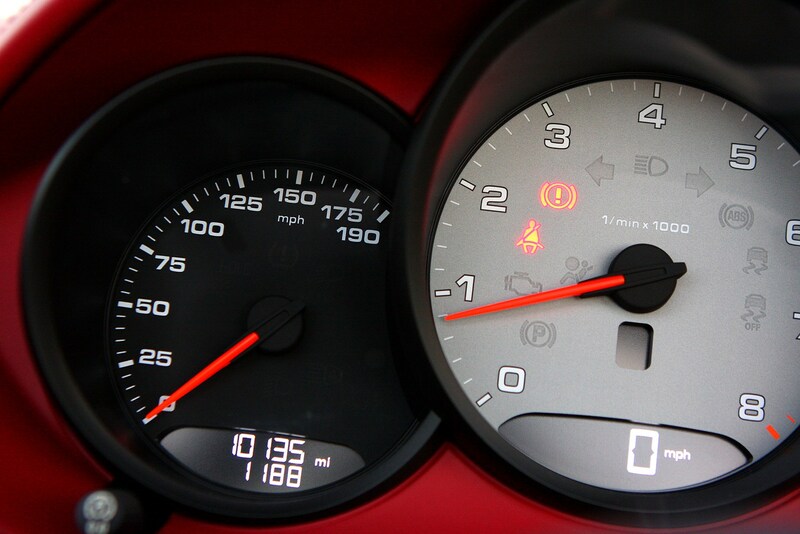 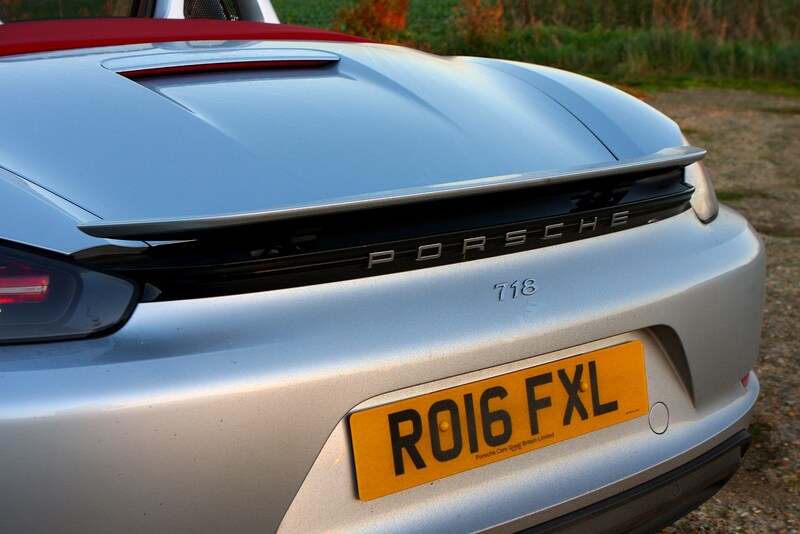 Sadly, the Boxster has lost an integral part of its character along with those two extra cylinders. 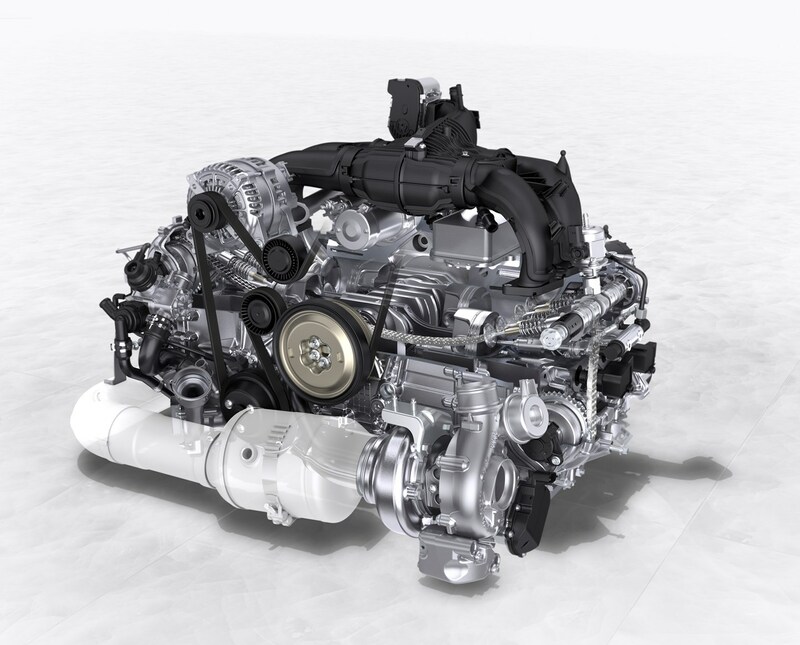 The exotic howl of the old engines – both closely related to the more expensive 911’s – has disappeared, replaced by a deep burbly thrum that could be mistaken for a Subaru WRX STi's, especially if you specify the optional sports exhaust. 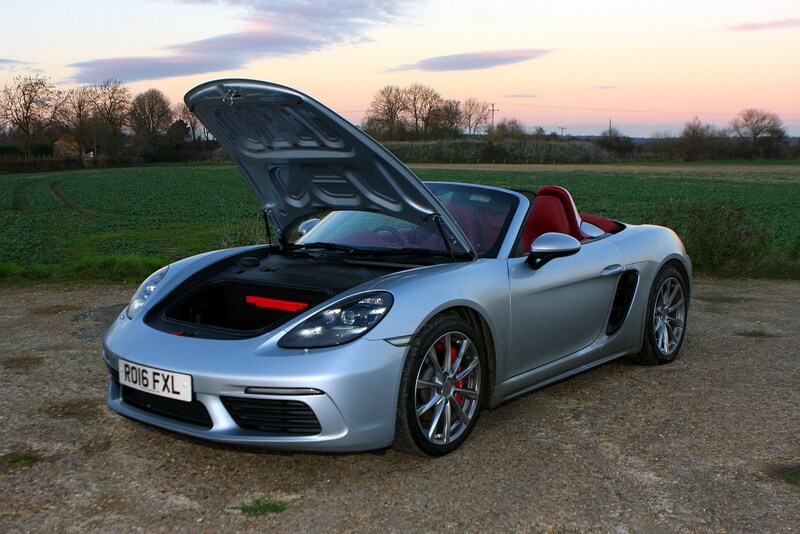 These are, however, technically impressive engines, both are keen to rev and the 718 Boxster S disguises turbo lag ably. 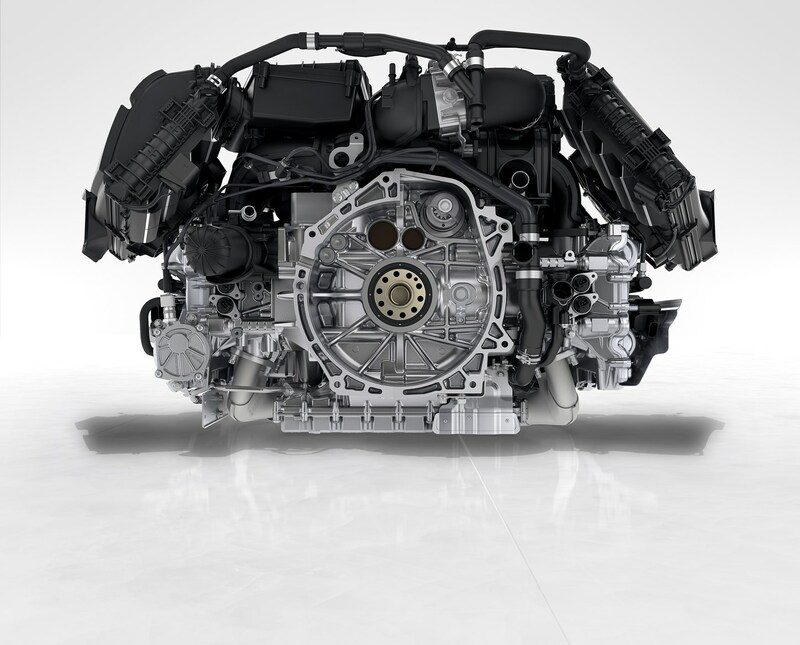 They are also more powerful and efficient (on paper) than the larger six-cylinder units. 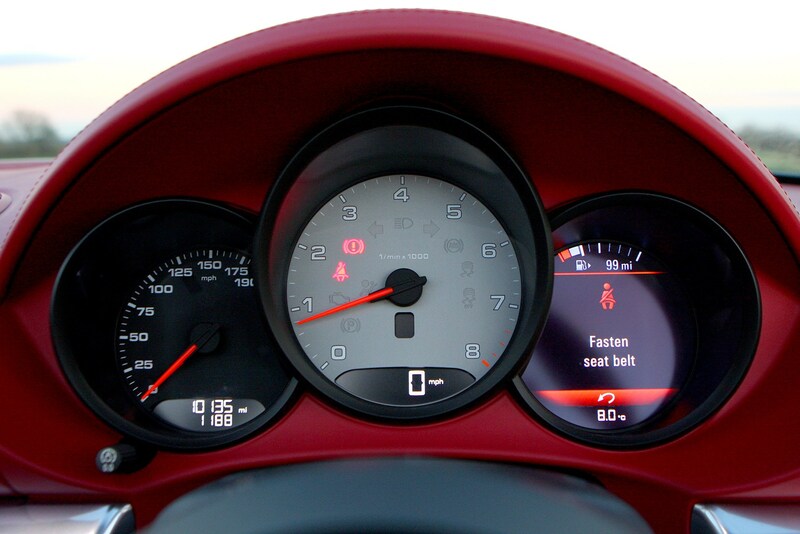 In real-world conditions, however, even engineers admit fuel economy is likely to be similar between the two generations. 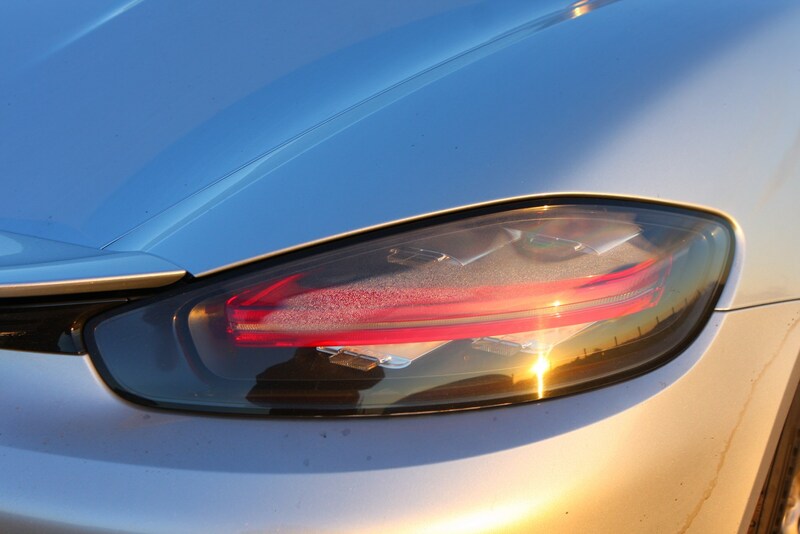 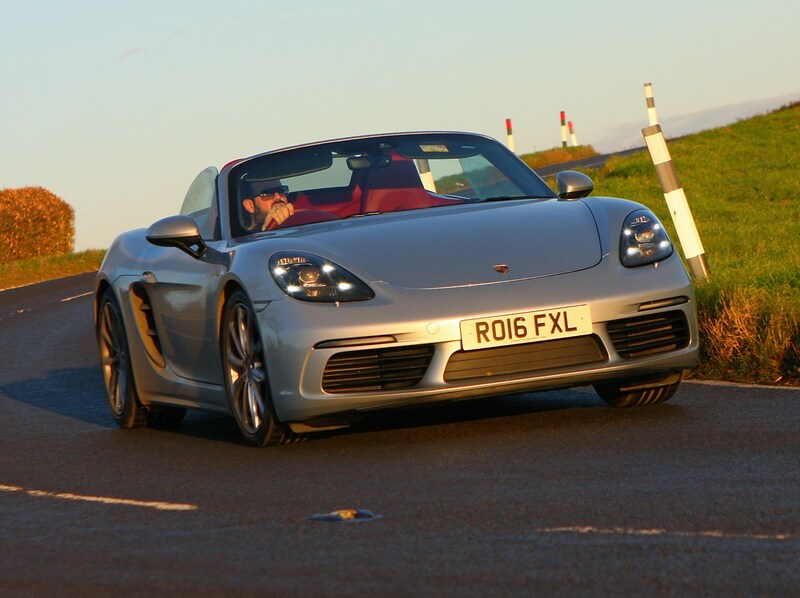 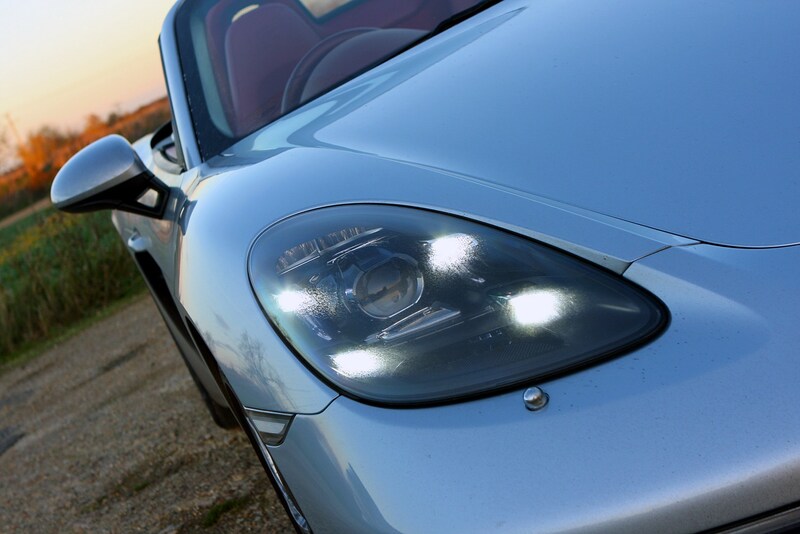 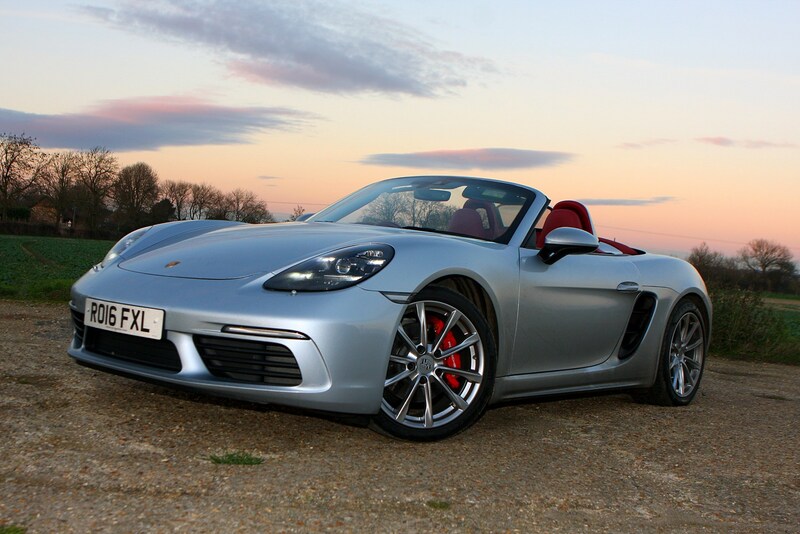 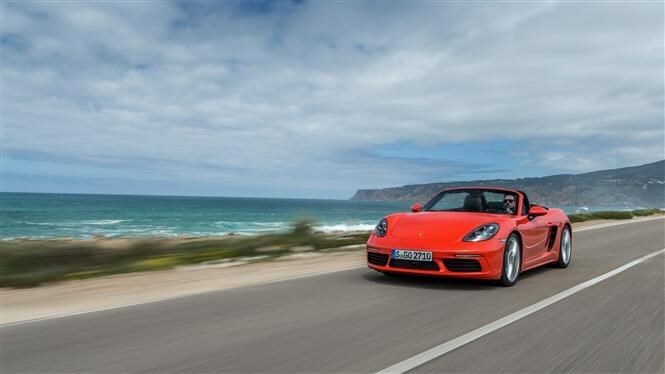 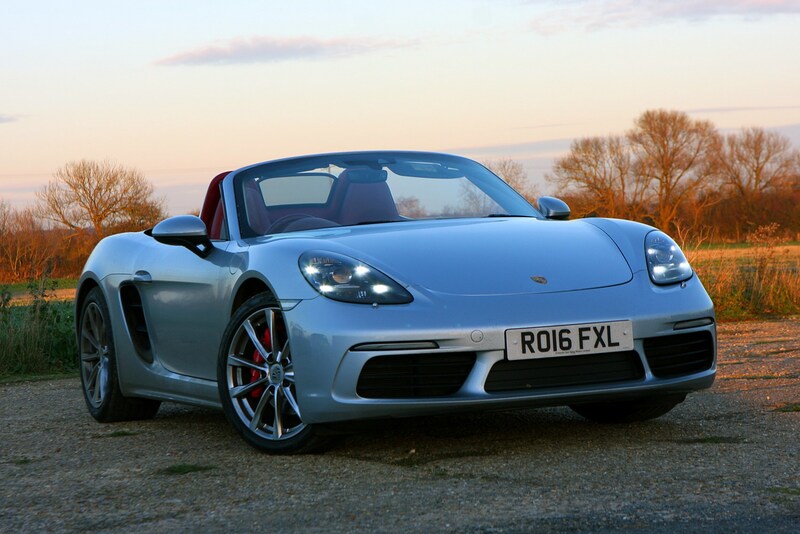 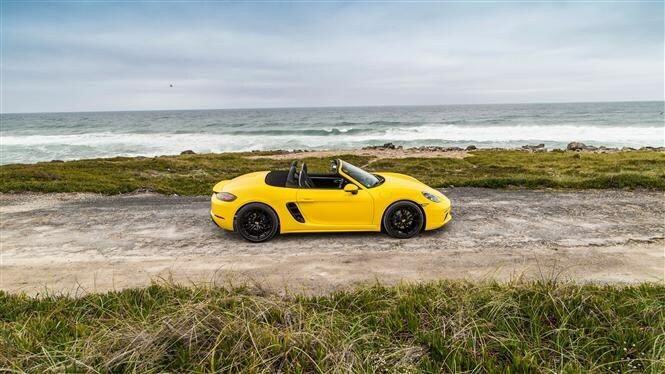 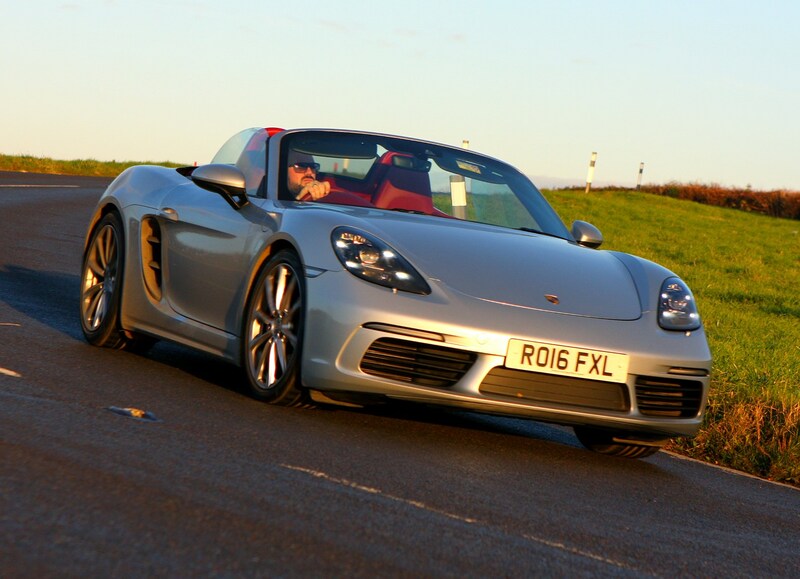 Despite our grumbles over the new engines, the Boxster continues to be the benchmark driver’s car in this segment: its steering is fast and precise, and the mid-engined chassis is both agile and incredibly forgiving. 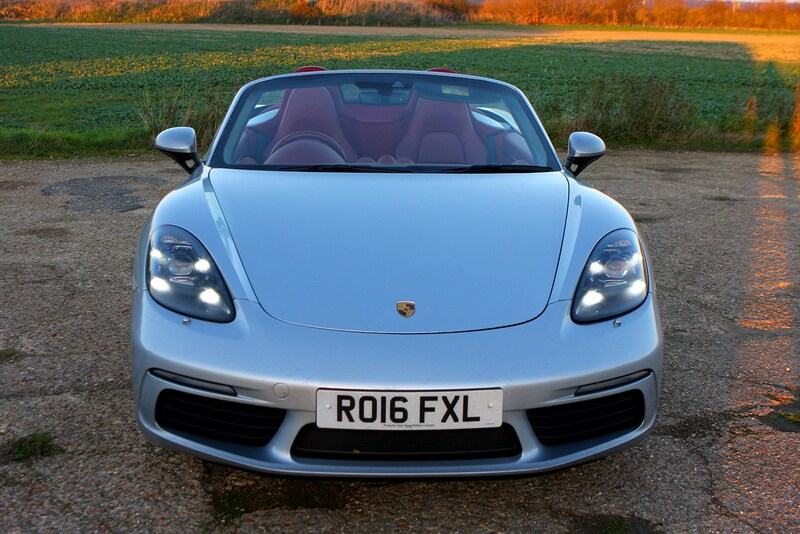 It feels far more exotic to drive than its relatively affordable price suggests (unless you go wild with the extensive options list). 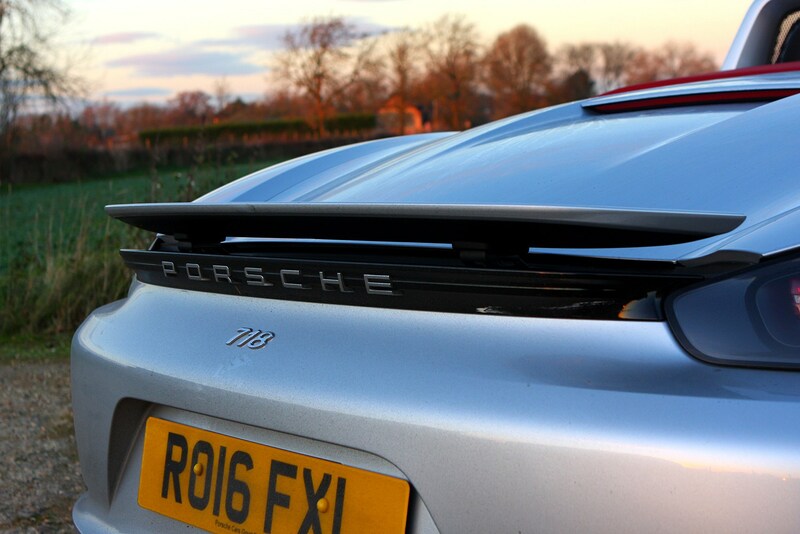 Both versions feel like performance cars, but the S is a very quick car. 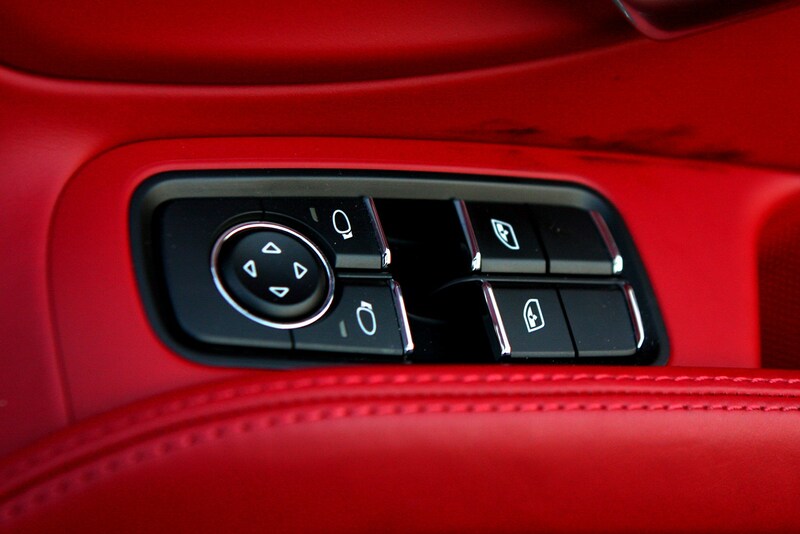 You can get both models with a beautifully tactile six-speed manual transmission, or a dual-clutch PDK automatic with paddle shifters on the steering wheel. 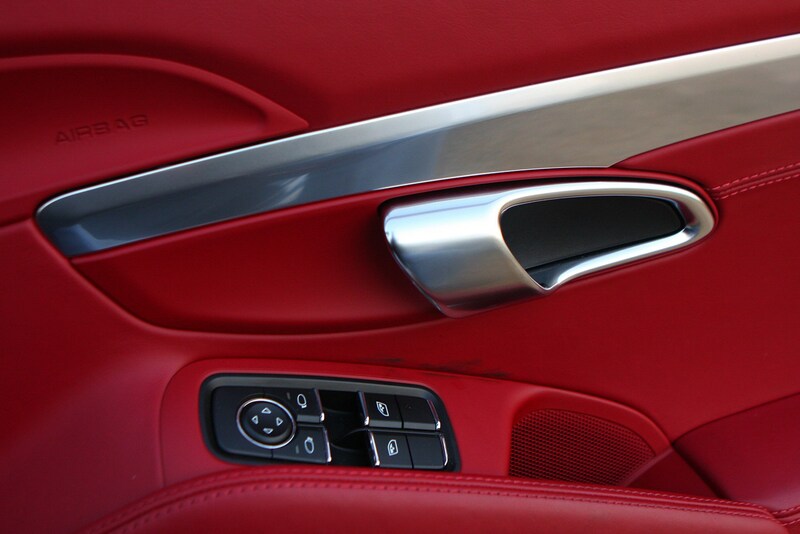 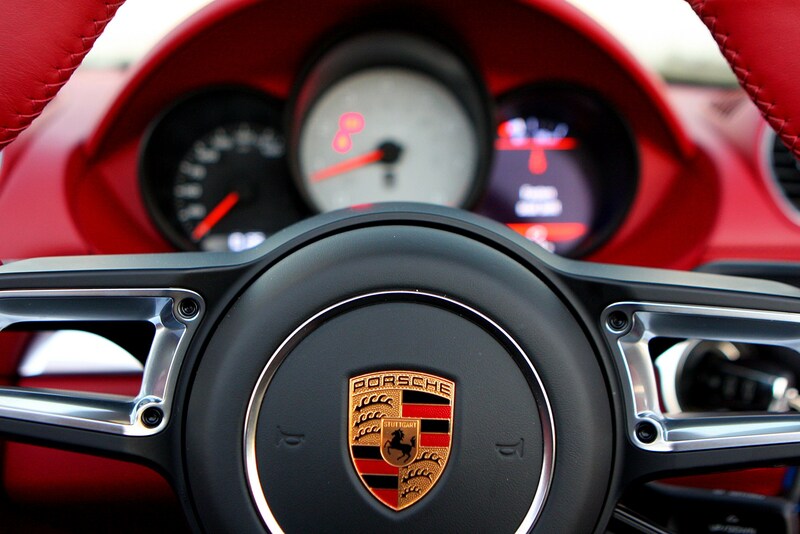 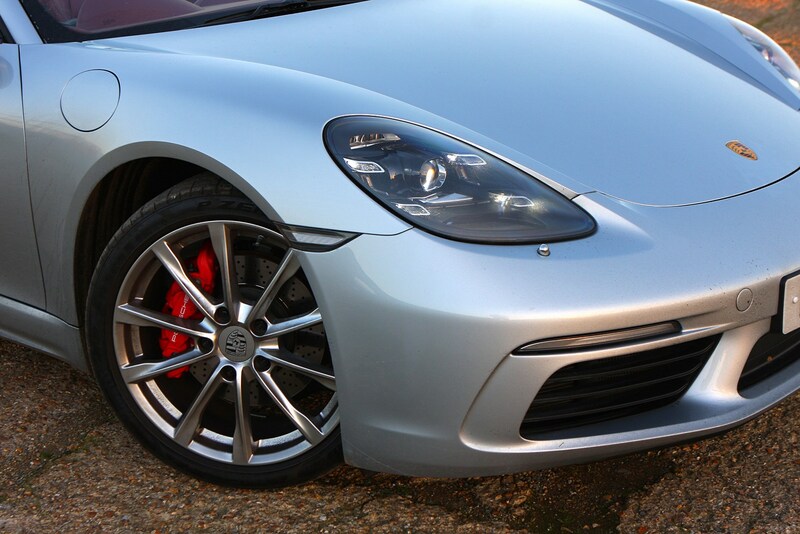 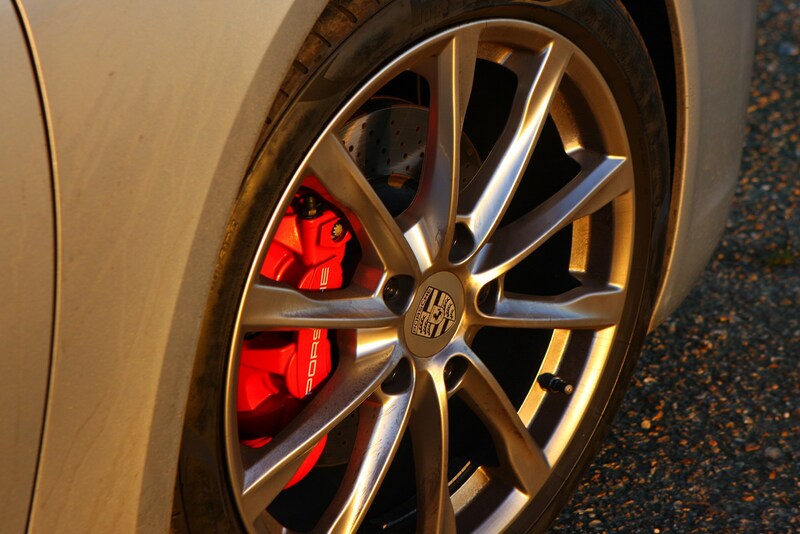 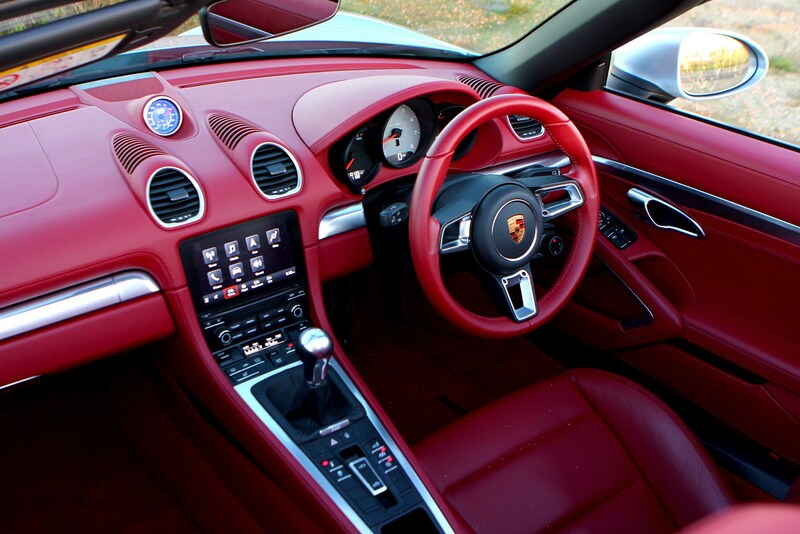 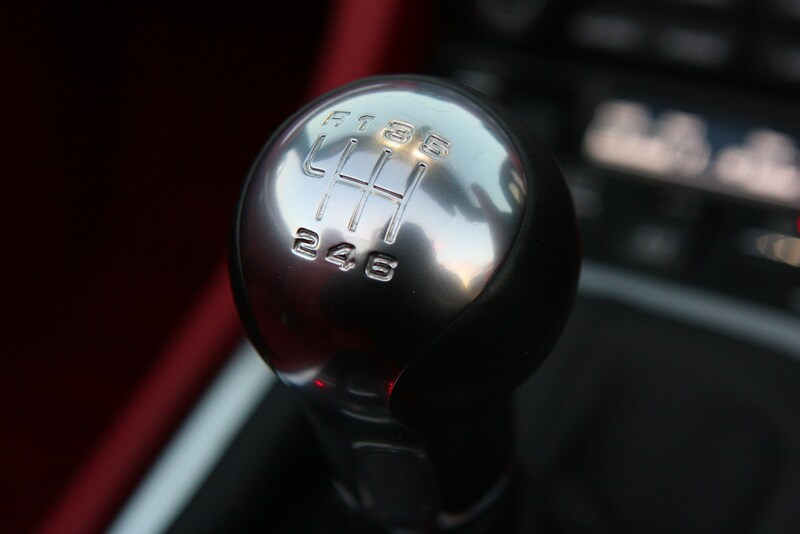 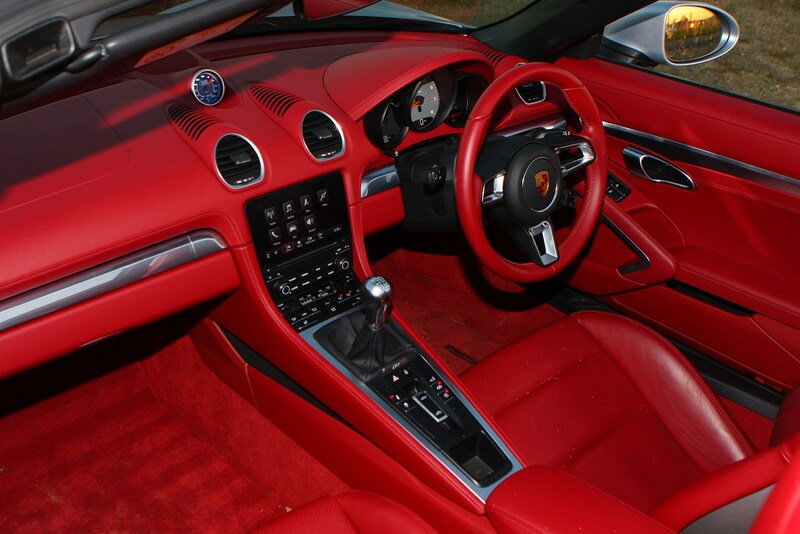 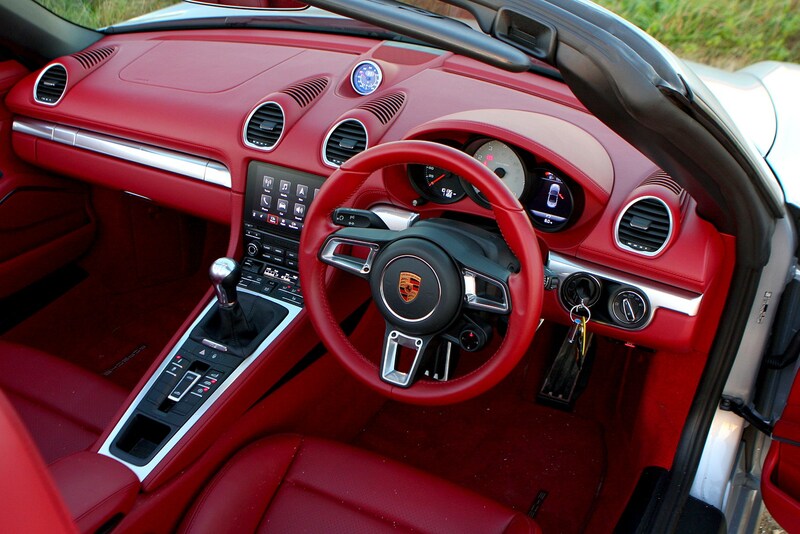 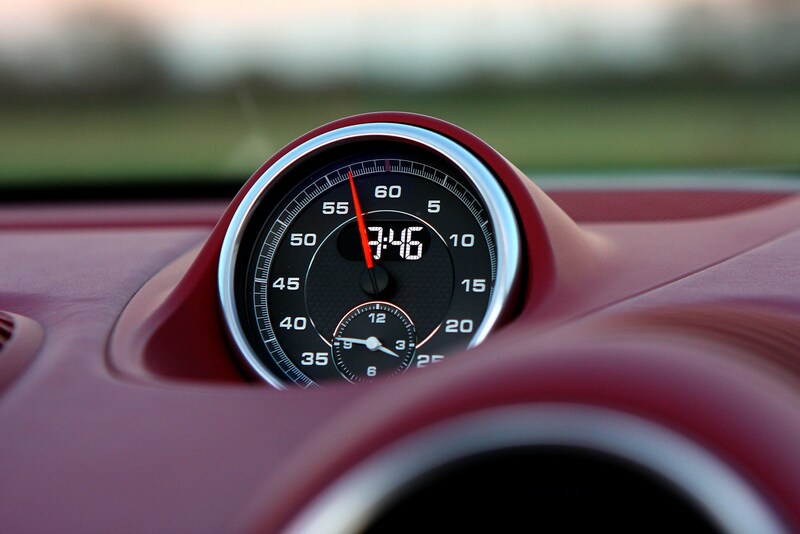 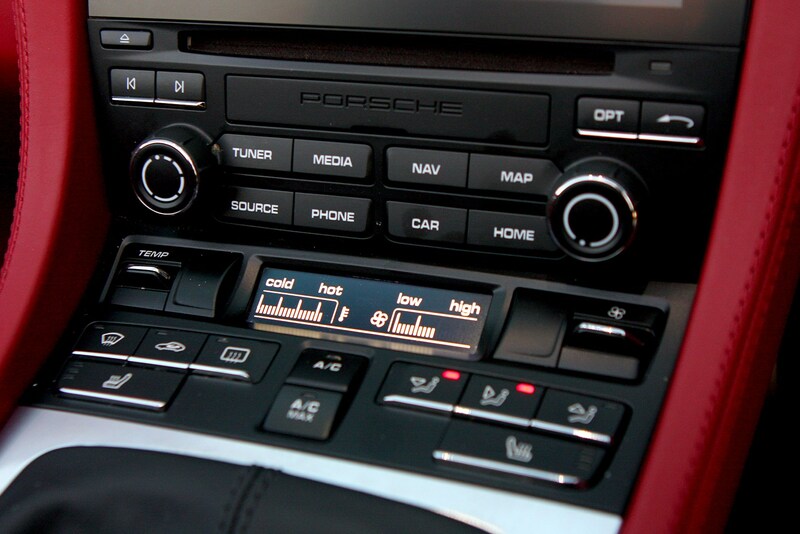 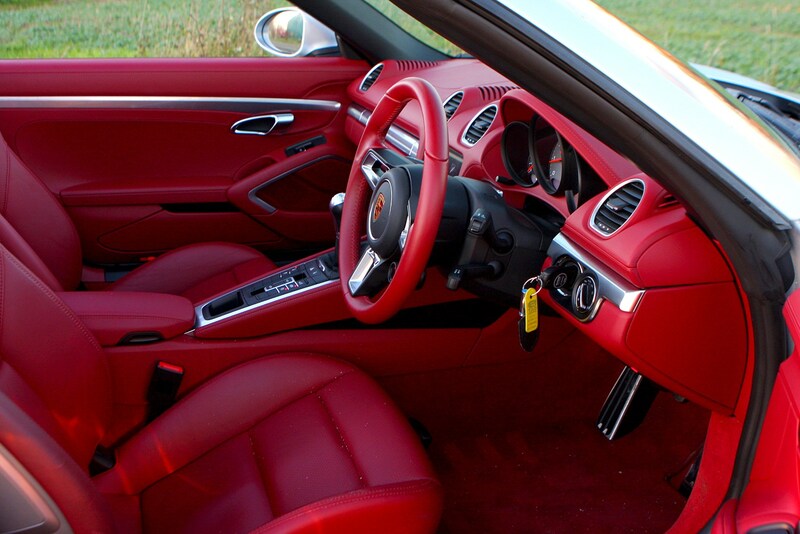 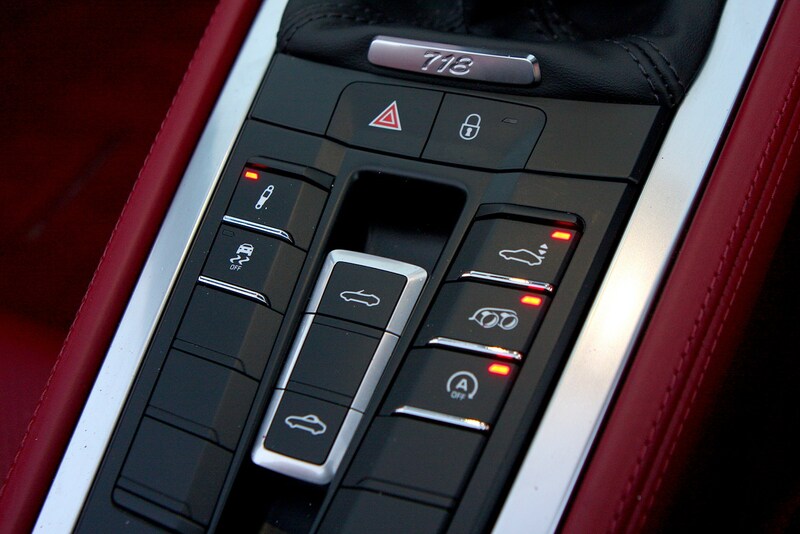 The PDK offers faster gearshifts, but also improves fuel economy on paper. 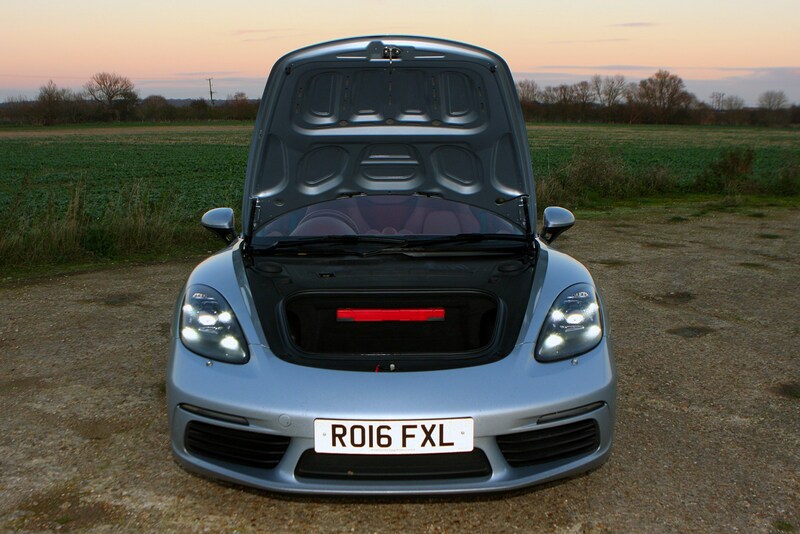 While some rivals favour a folding hardtop – literally a solid metal roof that folds away into the luggage compartment – Porsche has stuck with a simpler fabric roof. 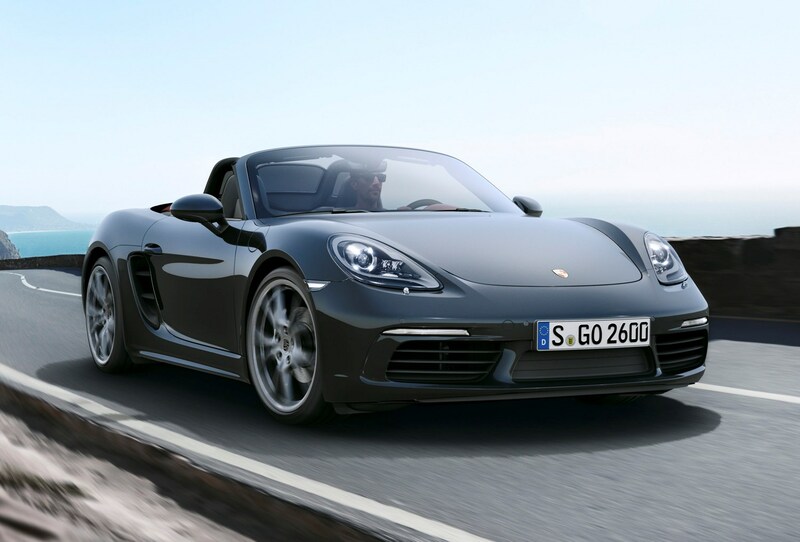 It has the advantages of lowering and raising much faster, and is capable of doing so while the vehicle is moving at speeds approaching 40mph. 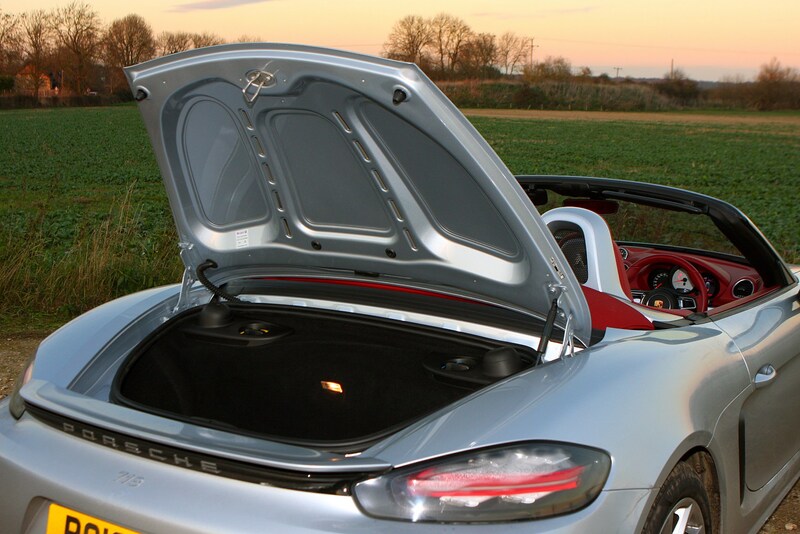 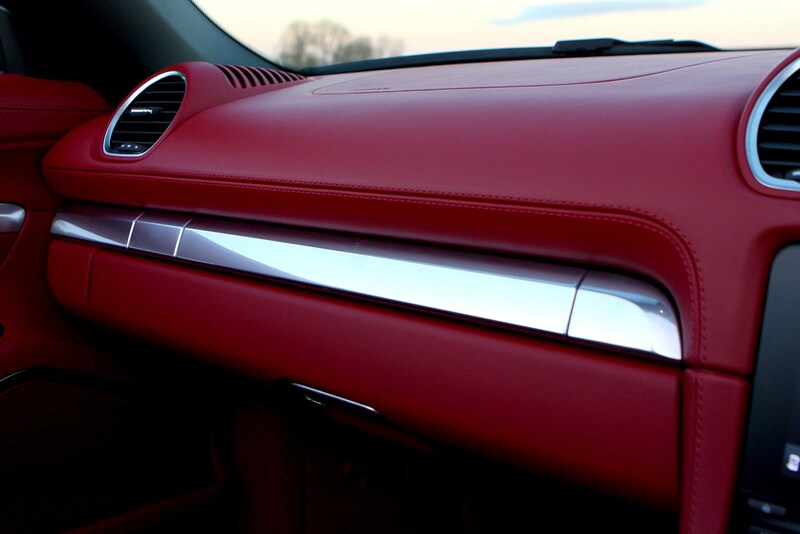 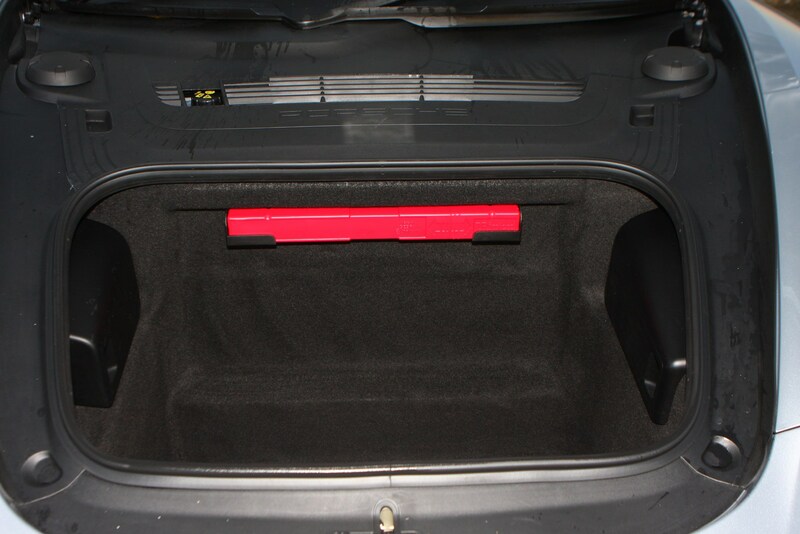 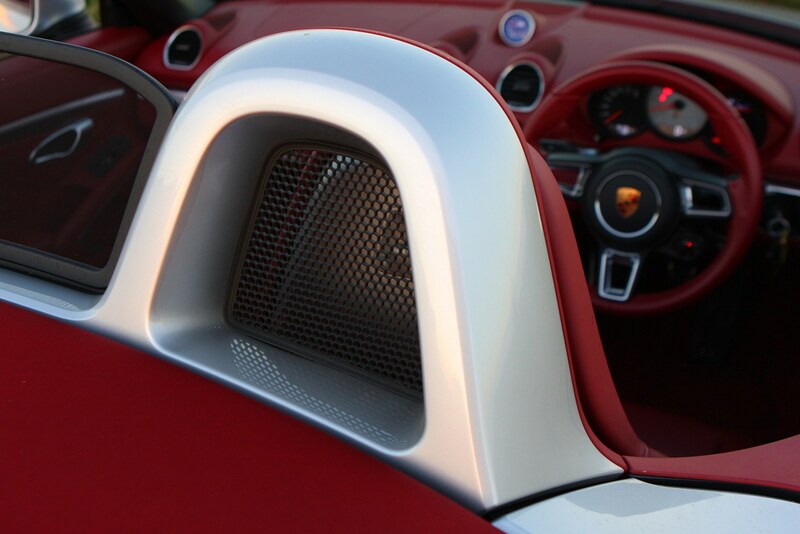 And unlike folding hardtops, the fabric roof does not eat into luggage space when stowed. 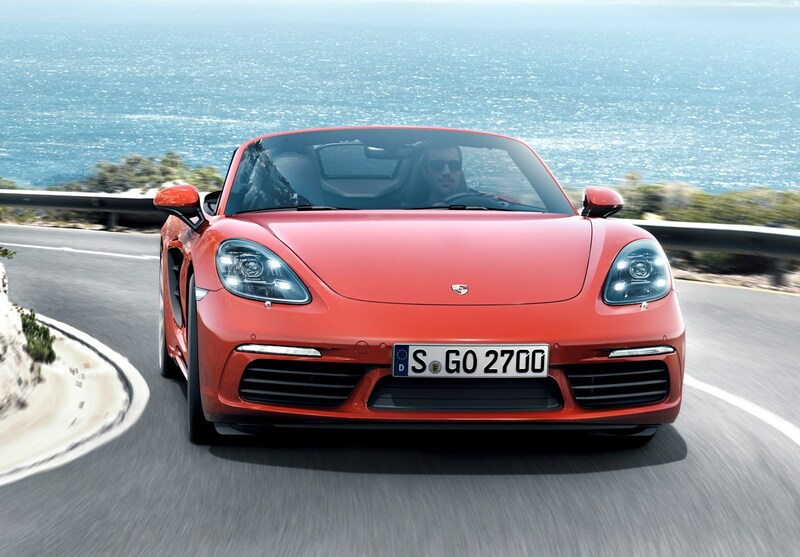 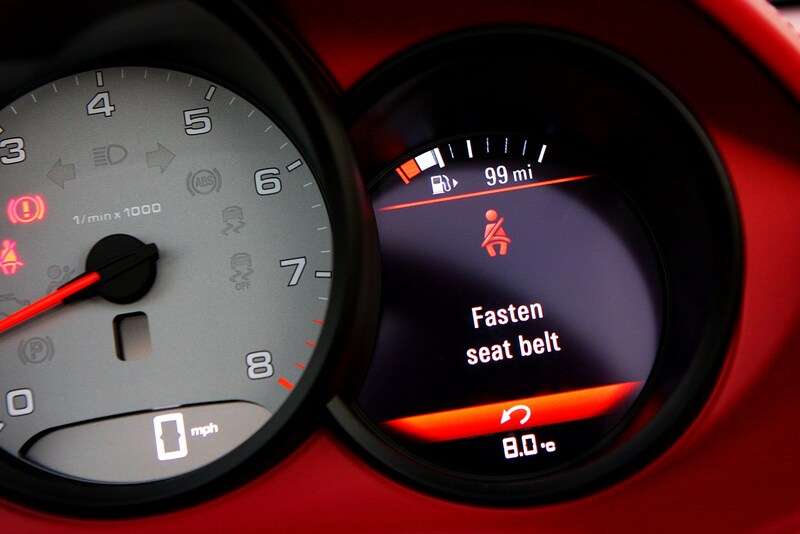 It’s a key tenet of this versatile sports car’s enduring appeal. 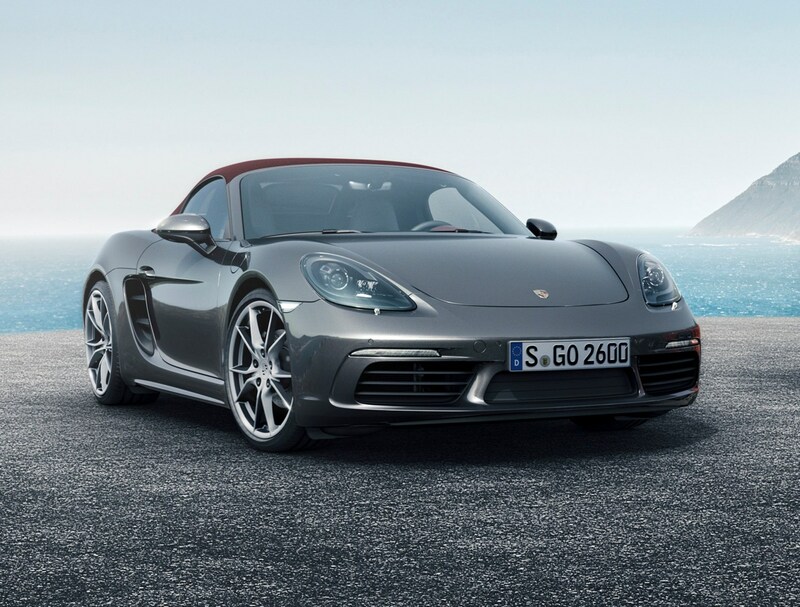 In December 2018 Porsche announced the 718 Boxster T, which follows the blueprint of the 911 T by offering much higher performance but without the bodykit you'd usually expect from a faster model. 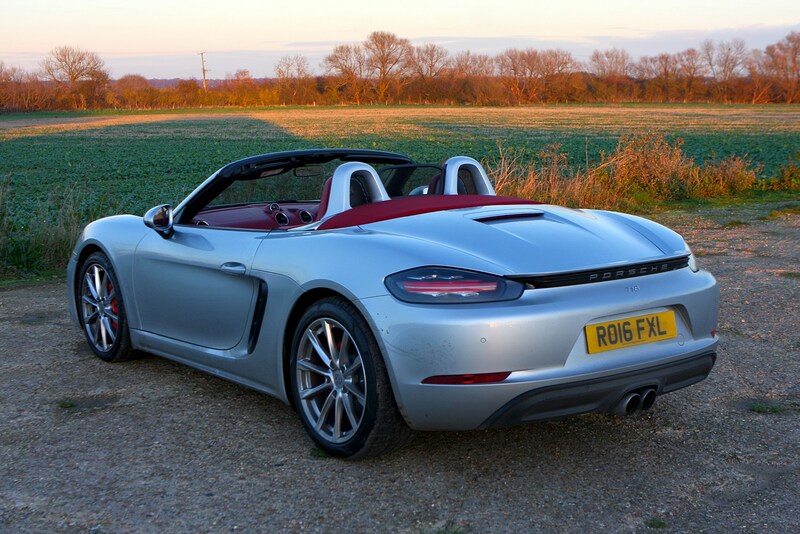 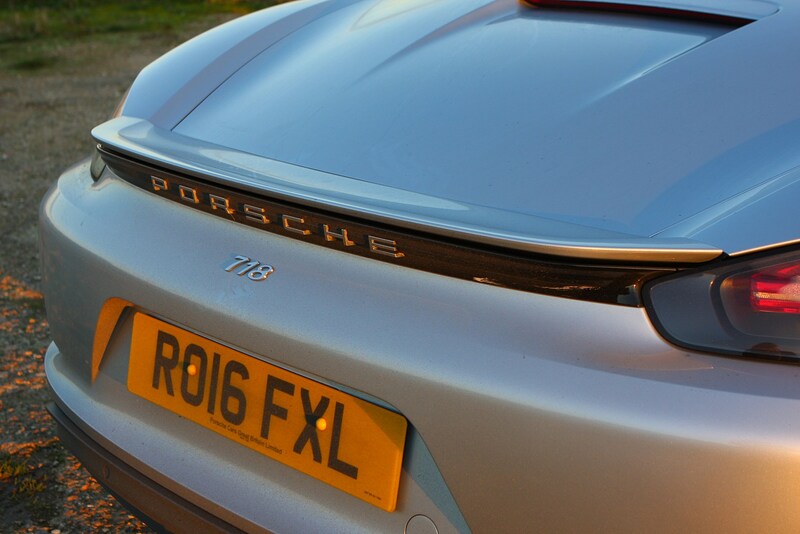 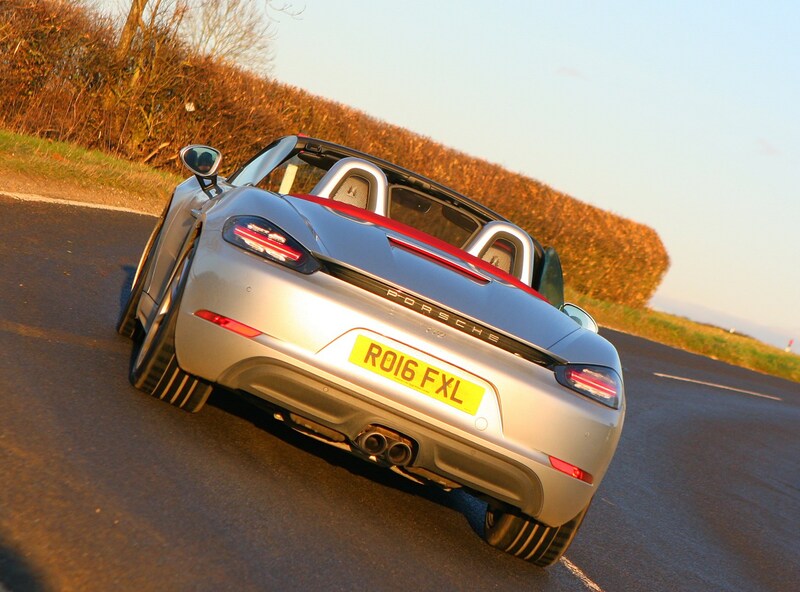 The engine is a 300hp version of the 2.0-litre four-cylinder turbocharged unit found in the regular 718 rather than the 2.5-litre found in the S, but the chassis is from the latter and promises fantastic handling thanks to a limited-slip differential, 20-inch alloys and a 20mm lower ride height. 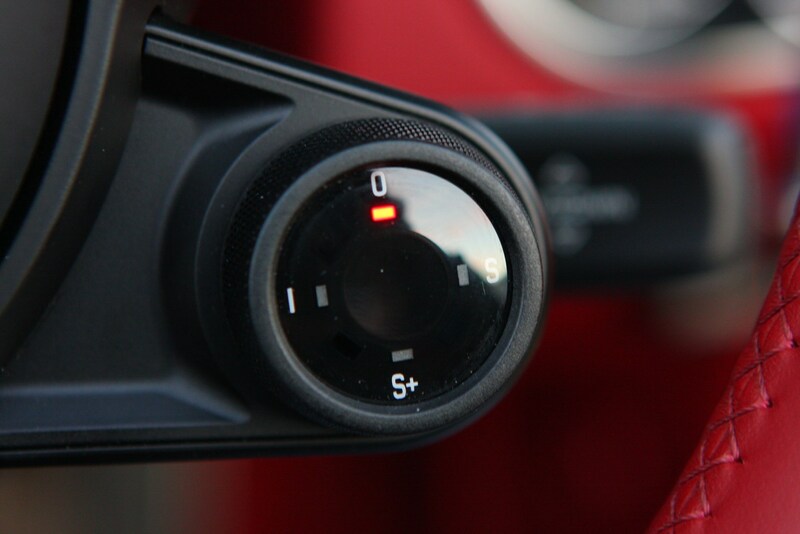 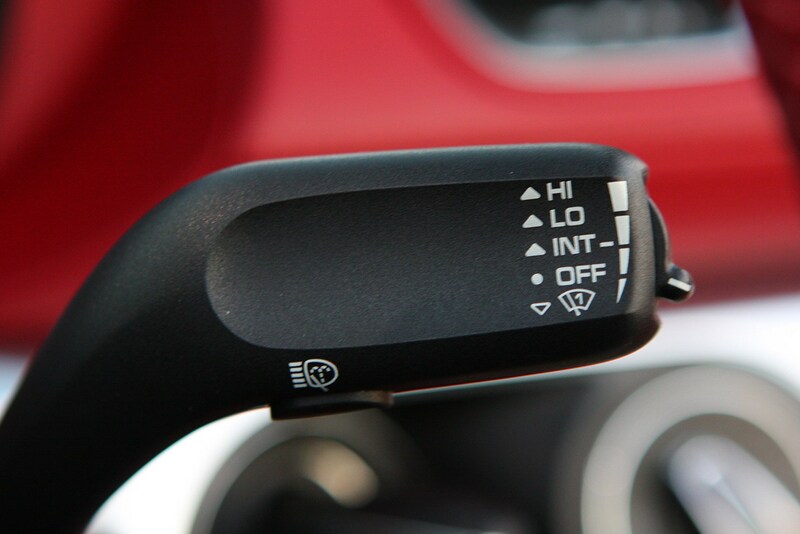 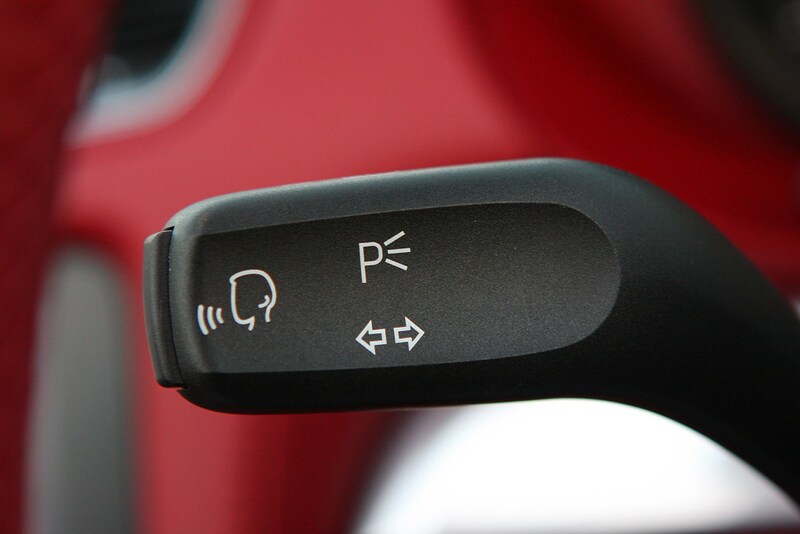 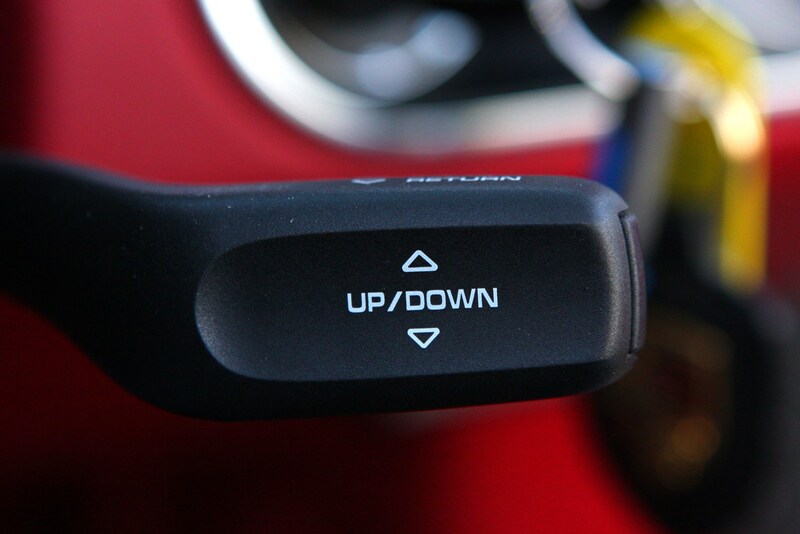 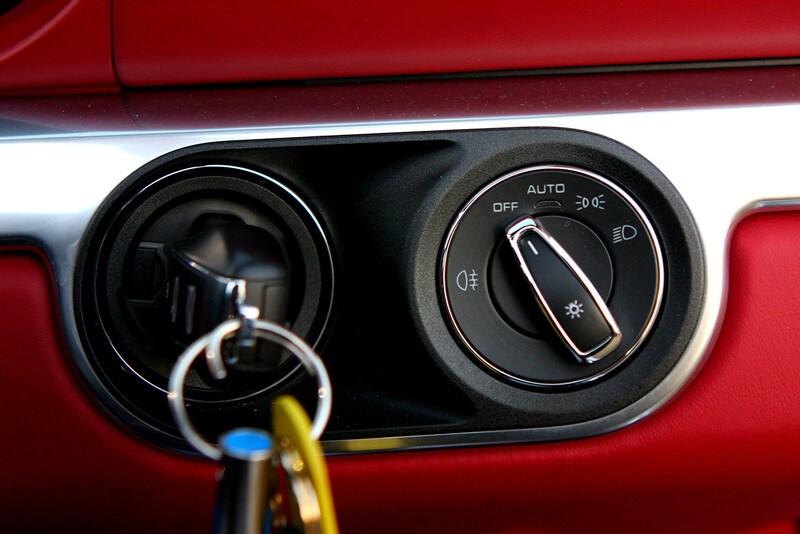 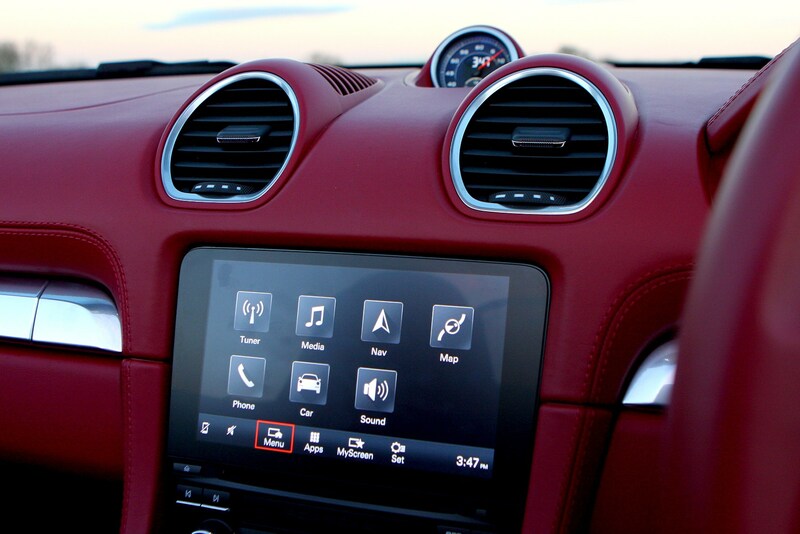 You've got the option of a six-speed manual or a PDK automatic gearbox, while the standard car comes with a no-cost option to delete the stereo head unit. 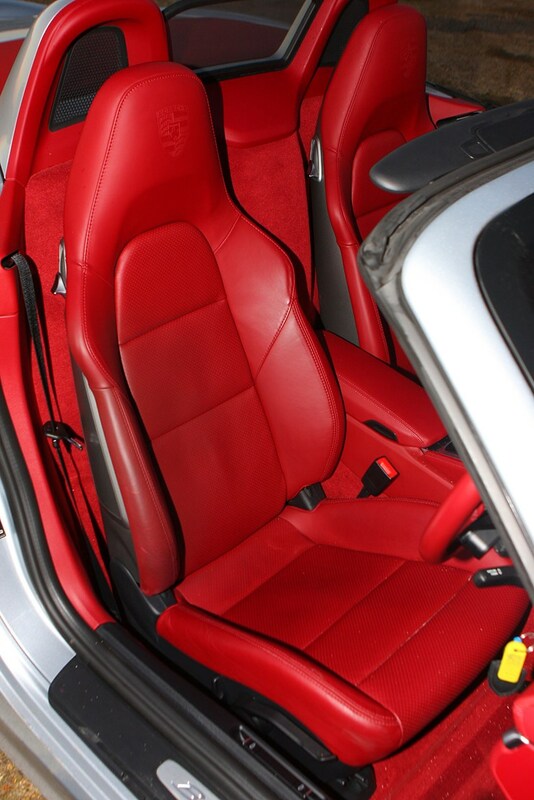 Sports seats and special T badging completes the package. 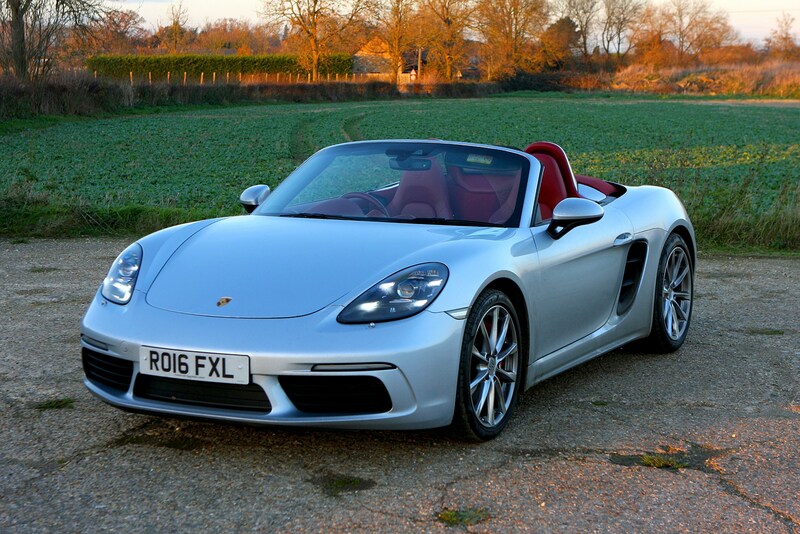 Whether you like the fact that Porsche has downsized the engines in the latest Boxster or not, it remains one of – if not the – best-driving roadsters on sale. 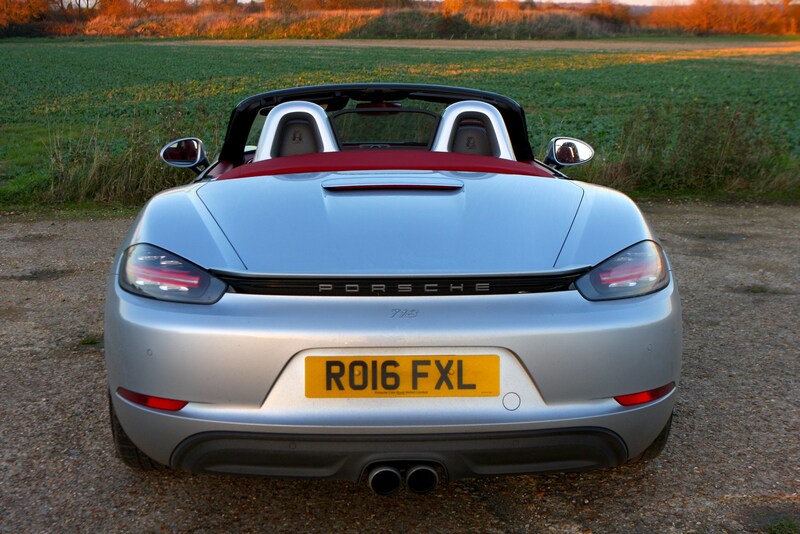 It’s great fun on almost every road, isn’t intimidating to drive, is surprisingly practical and oozes class and kerb appeal. 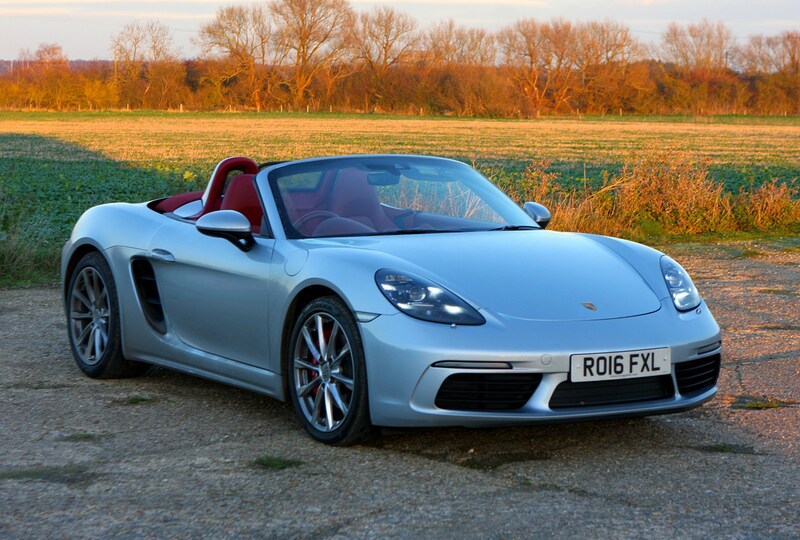 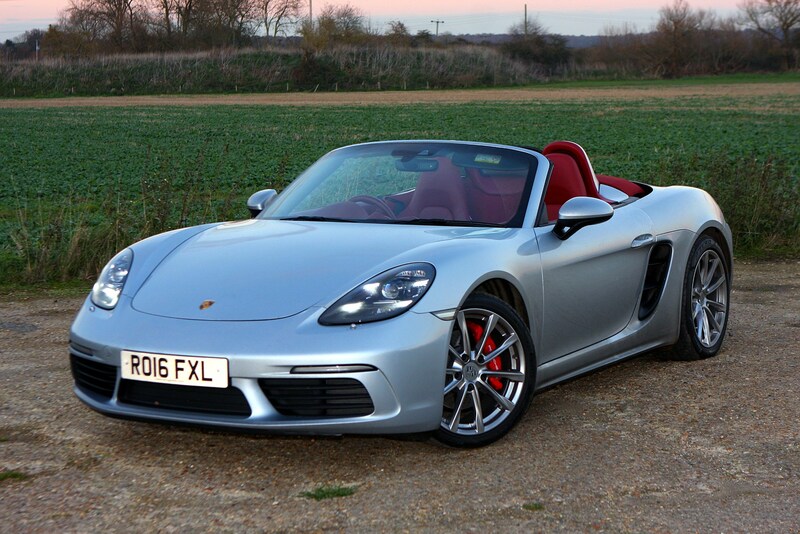 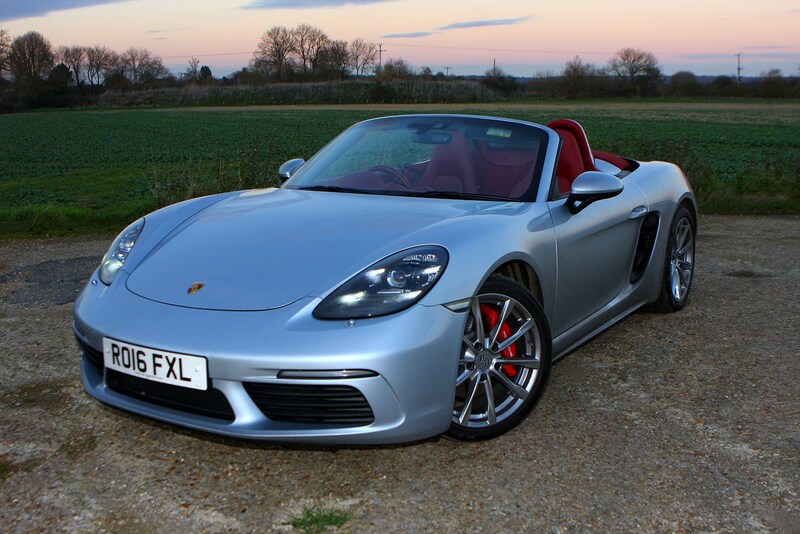 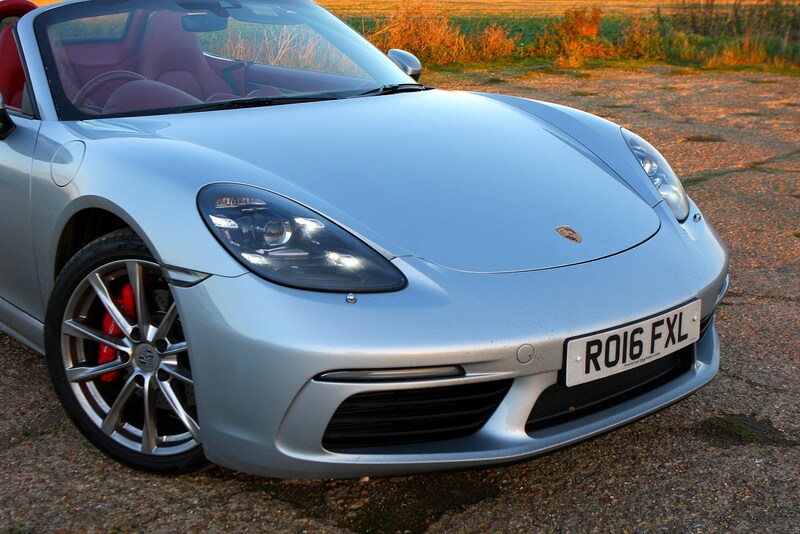 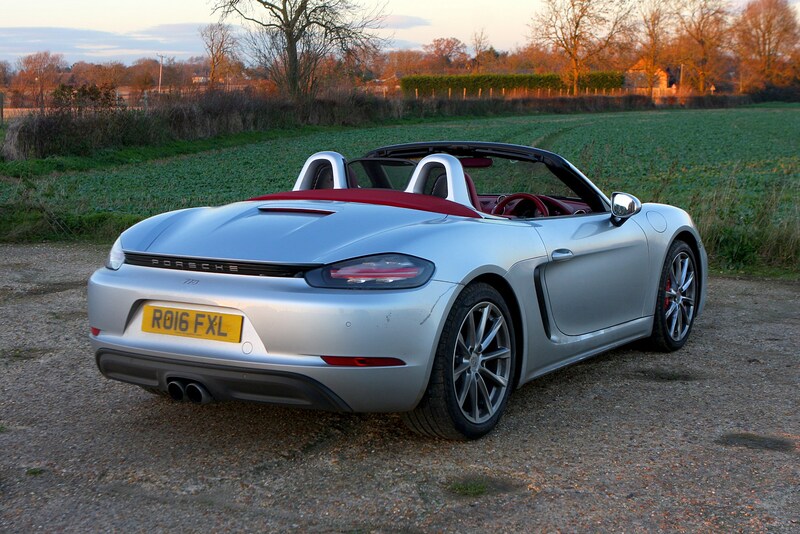 If you want an enjoyable two-seater, you could do a lot worse than the 718 Boxster.